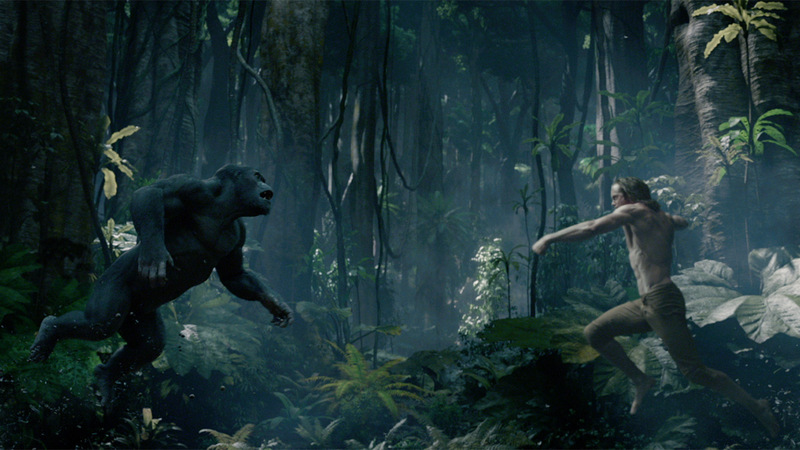 The legend of Tarzan is an incredible, undying story. The Legend of Tarzan, however, is not. We all know the tale; boy lost in the jungle, raised by gorillas, friend to the animals, becomes the Ape Man, meets Jane, falls in love, has adventures, happy ending. We’ve seen it in Disney form, done comedically, the classics with Johnny Weissmuller; we just eat up this tale, can’t get enough of it. Well, consider this film your fill. It takes hard work to butcher such a classic, to twist it until it no longer resembles its predecessors, to completely abandon the recipe that has been a success for so many others that have come before. David Yates, Warner Bros, whoever developed the CGI, all the guys who wrote the screenplay, congratulations, you just did something no one in a million movies & books was able to do until now; you just murdered Tarzan. Apparently someone thinks we do indeed know enough about the guy not to get a real background story, so let’s just jump right in. Tarzan has grown up, done all the stuff that you’ve heard of, lived in London as the Earl of Greystoke, and now must return to Africa to defend his beloved “homeland” from the evil Europeans that want to turn it into a cash cow. The King of Belgium has sent Leon Rom, his right-hand man, into the heart of the continent to secure a treasure trove of diamonds, which he will then use to fund his takeover of the country. Problem is, the warlord in charge of the diamonds wants the head of Tarzan, which Rom would be happy enough to provide if he could only capture him. So Tarzan, Jane, and a funny friend named George Washington Williams trek through the Congo on a mission to save the gorillas, save the people, and save the nation! God is it bad. Bad, bad, bad, without even a break to catch your breath. The first thing that’s bad is a fast-forwarded storyline, which feels exactly like a sequel until you remember, hey, there’s no original. We know that they know that we know all about Tarzan, but don’t we deserve a plot that doesn’t piggyback directly off of others without so much as a “thank you”? It all feels incredibly contrived, like a terrible Part Two, and becomes even more hilariously awful when you repeatedly remind yourself that there isn’t a first movie that you’re missing, they just decided not to make it. Next up on the List of Awful are the horrendous graphics. Perhaps if you have 3-D to cover it up you won’t notice as much, but my screening was not 3-D, it was just plain ugly. The effects are laughable, Tarzan swinging through vines looking more like a cartoon than the cartoon Tarzan did. And does it stop there? Oh my no. Samuel L. Jackson has some of the worst, corny, throwaway, play-down-to-a-dumb-audience lines you will ever hear, one after the other zinged our way without so much as a following apology. He was absurd, unnecessary, awkward, silly, and totally thrown under the bus as an obvious target for criticism. Margot Robbie was only slightly better with her American accent and her fake love of all things African. She’s becoming very hit-or-miss, nor a trustworthy actress at all right now. Christoph Waltz was OK as the villain, not affecting me one way or the other. But Alexander Skarsgard was one Blue Steel pout at the camera away from me jumping up & shouting “I HATE YOU” at the screen. His scenes were nothing but Abercrombie poses in the jungle, and I detested every one. I originally thought that this film would play like King Kong, which I really enjoyed when it first came out. After a rewatch, I realized it was pretty terrible, so in a way The Legend of Tarzan is like King Kong after all; it ought to be good, but when you miscast your movie & destroy the plot that it’s based on, bad things happen.